At first glance, this map is a mess to look. However, I made an artistic choice to keep all of the colors because I thought it gave a nice impression of Detroit as a colorful quilt of different countries, people, and backgrounds. 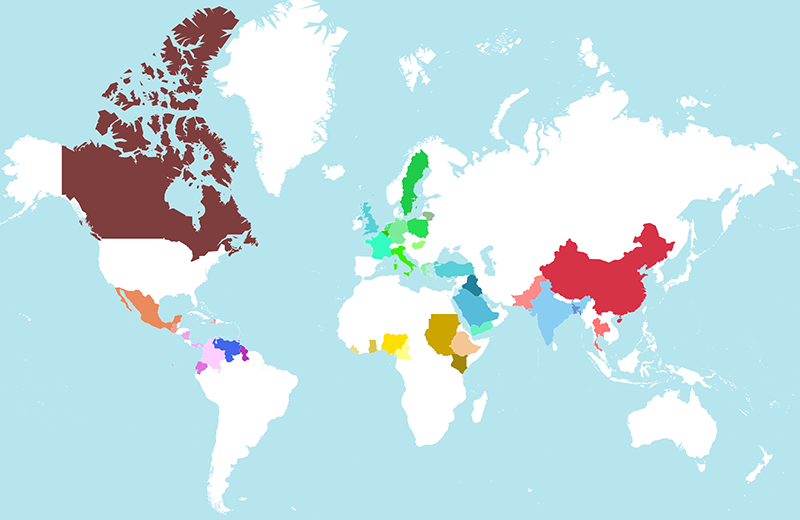 The idea came from Slate‘s series of maps on “most common country of origin” by States. 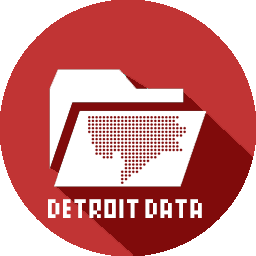 I pulled Census data for all census tracts within the City of Detroit and manually went through selecting the dominant country of origin (n=49) for each tract (n=323). The dominant country of origin was by far Mexico with 19,327 residents across 40 census tracts. Bangladesh was represented by the second highest number of residents, but they were very concentrated in just 3 tracts. Jamacia came in second, dominating 29 tracts. Canada (19 tracts) and Nigeria (17 tracts) followed. Canada could also be found all across the city from Westside to Downtown to edges of the Eastside. There is an obvious Mexico cluster in Southwest Detroit (Mexicantown), which has seen immigrants from Mexico since the 1960s. Iraq shows up in 2 main clusters. One in “Chaldean Town” just below 8 Mile and East of Woodward Ave as well as just North of Dearborn (bottom left). Yemen and Bangladesh are clustered around Hamtramck. Jamacia and Canada are interestingly clustered in the West side. China and India seem to be most concentrated near Midtown/ Downtown and I wonder what influence Wayne State University has on this population. European countries were the most represented with 13 countries, but never a significant number of residents. Nice map. Typo: Jamaica, not Jamacia. Also, it might be nice to see the number of colored tracts in the key in addition to the population count. Reblogged this on Alex B. Hill. Needs more Syrians. Like the ones that are all going to Western European Countries (along with everyone else) because of the USAs hypocritically xenophobic government under the current administration. Map: Can Detroit Really Be Compared to Any Other City?